I think he may have been eliminated. Luke S. just started following him. As per the previous page, it looks like he was eliminated last week as his IG became active after being offline. It is still private. Posting for reference in case he become public and we can see other activity for the others. Nice rose. ETA: correction. 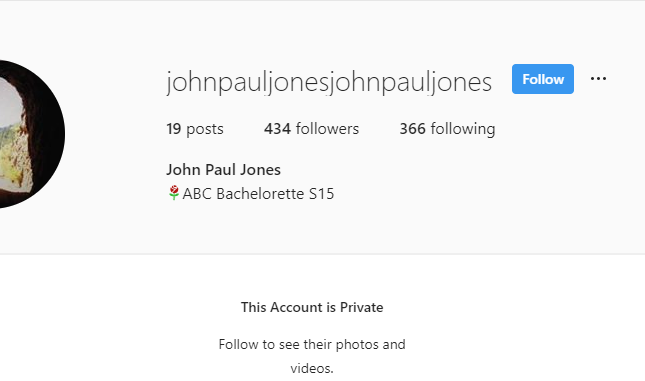 He was not private when he re activated his IG. see previous page, but he is private now.